Home - Top Stories - MIFID II: What Is This And How Will It Change Financial Trading? MIFID II: What Is This And How Will It Change Financial Trading? MIFID (Markets in Financial Instruments Directive) is the framework of legislation for the financial services market in the European Union. MIFID II is a revised version of the original MIFID, sometimes referred to as MIFIDI I. 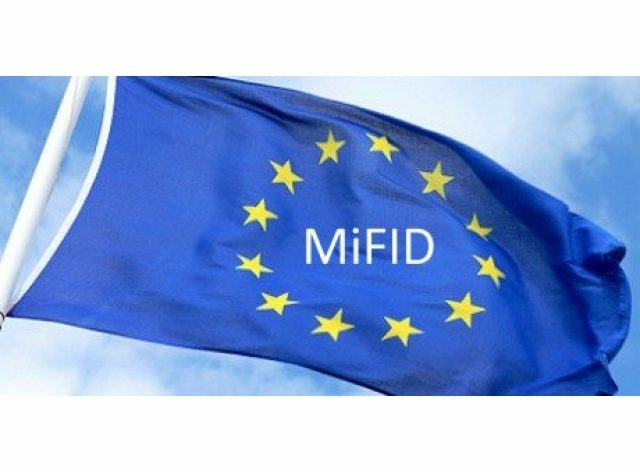 Implementation of MIFID I began in November 2007. MIFID II is set to go live on January 3, 2018. The date of MIFID II implementation was pushed back by about year from the originally targeted implementation date of January 2017. MIFID is all about regulation of the financial services sector with a view in strengthening the financial services market and improving investor protection. One of the aims of MIFID II is to regulate firms that provide investing services to clients. The regulations affect providers of investing services around financial instruments such as stock, bonds, commodities, forex and other derivatives. On top of strengthening regulation of providers of financial services, MIFID II is also aiming to improve regulation of venues where financial instruments are traded. The idea is to create organized trading platforms that comply with regulations around the use of technology and reporting of activities. MIFID II is partly EU’s reaction to the 2008 financial crisis that rattled the region. EU regulators believe stronger rules are important in securing the region’s financial sector to avoid a repeat of the financial crisis or, at least, limit its impact if it does happen again. As such, one of the functions of MIFID II will be to limit volatility in the region’s financial markets. The framework also seeks to reduce speculation in basic agricultural commodities. Additionally, MIFID II aims to reduce conflict of interest in the financial services sector, which is why reporting of trade, both re-trade and post-trade reporting, are greatly emphasized in the document. As part of strengthening investor protection, MIFID II seeks to increase transparency in the financial services market. As such, the document provides for capturing of unregulated markets by calling for setting up of Organized Trading Facility (OTF) that will exist alongside traditional exchanges such as stock and commodities exchanges. Unregulated forex, binary and other derivative instruments will be required to join OTF. That would spark a competition with existing exchanges, but it should help sanitize the financial services sector. MIFID II will be going live in Europe at a time when the region has stepped up regulation of financial markets, especially with the aim of eliminating so-called toxic products. From Belgium to Italy, retail trade in forex, binary options, and CFDs have either been banned completely or limited. Some EU countries have placed a ban on advertising of forex and binary options targeting their citizens. The tightening of regulations in retail trading of derivatives comes amid a surge in investor complaints, including cases of brokers refusing clients to withdraw from their accounts or using predatory leverages and bonuses. MIFID II is likely to bolster the efforts aimed at ridding financial markets of unscrupulous providers who lure investors with toxic investment products.